The following informaton was provided by Carolyn Graden Dossey. John was born in Germany or Pennsylvania (according to different sources) on October 25, 1786. On March 31, 1814 he married Elizabeth Leas, daughter of John and Sophia Ziegler Leas. Elizabeth was born in Adams County, Pennsylvania on March 4, 1796 (at that time it would have been York County). In 1790 the census shows a John Zimmerman family with 3 sons under the age of 16 in York County. On the 1810 census for Pennsylvania there are 3 Zimmerman families listed in nearby York County, Pennsylvania. Adams County was formed from York County in 1800 and indications are that York county contained the Adams county families. There were no Zimmermans listed for Adams County in 1810. Shortly after their marriage they moved to Jefferson County, Ohio with Elizabeth’s brother who had married John’s sister Elizabeth. In Deed Book D page 317, Solomon Fisher and Mary his wife sold to Jacob Leas and John Zimmerman land in NW¼ Sec 26 T10 R3 for $1600. In Deed Book D page 318 they equally divided the land in 1819. Letters were left in New Salem in 1817 for John. They lived in Salem Township as the family grew to at least 8 children with all of them being born in Jefferson County, Ohio. The census in 1830 lists more. In 1850 John and Elizabeth were still living in Salem Township with 3 children remaining at home Hiram, Elizabeth, and Anna. They also had 2 laborers living in the household. The real estate value of the farm was $5000. John then 63 years old was still farming. Salem Township was a good farming section and had some coal and oil. John lived to see America torn apart by the Civil War. He died April 9, 1869 and his wife Elizabeth died April 5 1877. They are both buried in Leas Cemetery with Jacob and Elizabeth Leas. Jacob was born March 30, 1816 in Jefferson County, Ohio and died November 6, 1853 in Montgomery County, Illinois. He married Susan Easterday on March 17, 1840 in Jefferson County, Ohio. Sophia was born January 15, 1819 in Jefferson County, Ohio and died Sept 16, 1912 in Nokomis, Montgomery County, Illinois. She married Alexander Graden on January 8, 1840 in Jefferson County, Ohio. Margaret was born September 13, 1821 in Jefferson County, Ohio and died August 7, 1907 in Montgomery County, Illinois. She married David Easterday on August 22 1839. Maria was born May 20, 1824 in Jefferson County, Ohio and died July 23 1888 in Montgomery County, Illinois. She married John Graden on 26 October 1843 in Jefferson County, Ohio. Hiram was born January 18, 1827 in Jefferson County, Ohio and died November 21, 1908 in Jefferson County, Ohio. 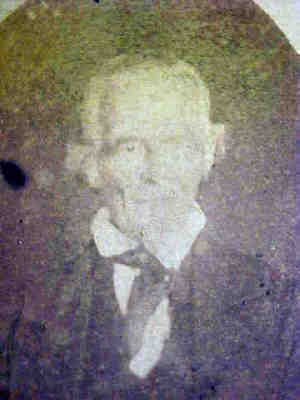 He married Sara Simmons May 31, 1860 in Jefferson County, Ohio. Elizabeth was born February 19, 1831 in Jefferson County, Ohio and died in March 9, 1927 in Jefferson County, Ohio. She married Daniel Swickard on June 3, 1851 in Jefferson County, Ohio. 2 Burial place provided by Lance D. Gill. He indicated that John and his wife Elizabeth are buried in the "Leas Cemetery."